One of the things I did while I was on my blogging break was to go away with a group of my gorgeous sewing friends for a stitching retreat. Actually it should have been called an eating, chatting, sewing, laughing retreat as there was a good deal more of these activities than stitching. These women are a marvellous group and we all get on so well, united by a love of Di Ford Hall's quilts. We stayed at the beautiful Mill Rose Retreat, located next door to Millrose Quilts in Ballan. Quite a few of us bought the sweetest little decorated sewing tins and here is the one I chose. I just love it. I've been looking for some projects with a Spring theme even though we are heading in Autumn (Fall) here. I thought this one is really sweet and I hope you like it too. I found it at Thimbleanna as part of an Aurifil blog hop back in 2011. 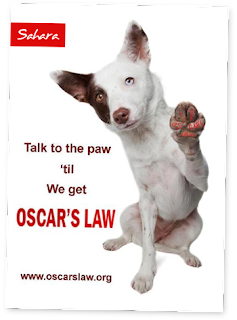 Please follow this LINK if you would like a copy of the project. Many many thanks to everyone involved in sharing it. You look like you had a great time with some fun loving ladies! I was wondering if you used your light box yet and how you like it. 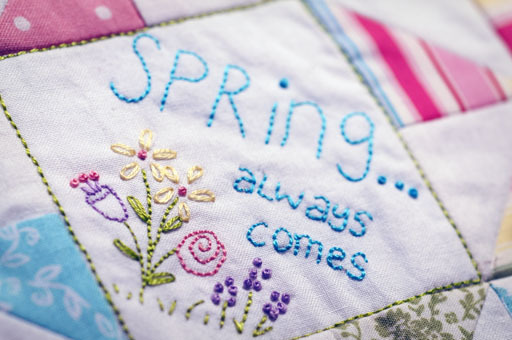 I love the stitchery block, looks so pretty, and here we are waiting on spring to arrive soon. I always had such a fun time when I went to retreats so I can understand what yours must have been like. Glad you're back posting again tho. That is a GREAT selfie! What a gorgeous place and a quilt store right next door? I would have to file for bankruptcy when I got home! LOL! What a great trip and I can just imagine how much fun you all had. I love the tin...just precious. thank you for the free pattern....I even printed it off which means I might actually be serious! Ha! Ha! Happy birthday to your Dad.....he is the first person I have ever known to be born on Leap Day. So glad you're back blogging....you were missed! What a great get together! I agree, it is a cute tin.